They’re not talking about mindfulness. Check out this post about mindfulness & liberty. Okay, that might sound harsh. So I’ll admit, when a word is used popularly to discuss a particular thing, then the new meaning should be accepted. So here, when many teachers today say mindfulness they mean “non-judgmental awareness”. I accept it. When I’m saying they’re not talking about mindfulness, I mean they’re not talking about Sati, the Buddhist term which was translated by a 19th century Anglican as Mindfulness, and which slowly morphed to become the umbrella term for what it is all the cool kids are practicing today. The magic pill for all our problems, if we are to believe the advertisers. Mindfulness, or Sati, simply means to remember. I’m sorry to take all the wind out of the sails, but it’s a word derived from the Pali (the language in which Buddha’s sermons were recorded) derived from the verb Sarati, meaning “to remember”. The translation into mindfulness by scholar Thomas William Rhys Davids in 1881, was an admirable effort, as there is no English language word which carries the whole meaning of Sati. But it leaves the connotation of remembering out of it, and that is a source for much confusion today. As a part of the Buddhist eight-fold path, it is known as “True Mindfulness” or Samma-Sati. This is the ability to recollect what needs to be recollected. It is a term that covers a whole range of aware, alert and clear recollection of something, and does not refer to memories in the everyday sense. If you are practicing Mindfulness of Breathing, you will be clearly aware of the whole breath throughout just as it is. In it a man is told to carry a pot filled to the brim with oil between two spots without spilling a drop, with a guard holding up a sword to his throat in case he does spill some. Now think back to that non-judgmental awareness teachers keep bringing up nowadays. Not quite it, to say the least. 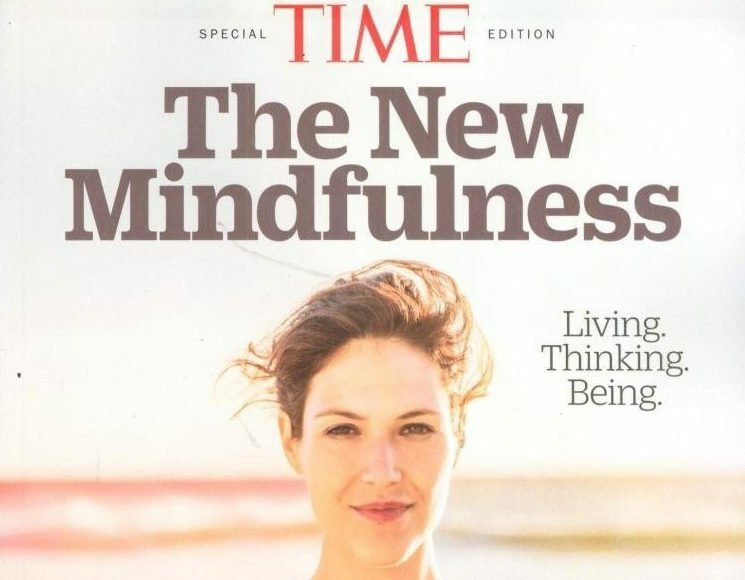 Finally, I’d like to point out there are two more problems often associated with mindfulness. Firstly, in-and-of-itself, mindfulness cannot possibly be enough. You can be a mindful assassin or robber. You’ll probably do a great job, but without the other elements of the eight-fold path, you’re not going to achieve any lasting contentment, or be of much good to the world you live in. Secondly, some of the downsides of mindfulness described in the articles I’ve seen were talking about the fact that intensive practice brought up traumas and triggered panic attacks. This is a very normal and well known aspect of beginner practice. It should be mentioned as a disclaimer to all perspective applicants to an intensive practice retreat, applicants should be required to present a clean bill of mental health, and those who do end up practicing in such an intensive way, should be doing it with teachers who are skilled enough to know how to react when they experience a panic attack or find themselves reliving a traumatic experience. I hope this will serve to clarify any misunderstandings on the topic and to prevent any silliness related to mindfulness in the future. So if you feel this could be useful, or if someone you know is planning on practicing “mindfulness”, please share this article with them. For a broad overview of the Buddhist path of Virtue, Meditation and Wisdom, check out the Ordinary Mind Meditation Podcast. For a great course on achieving stable concentration as a basis for all other practice, check out Let’s Achieve Access Concentration. The course is completely free and supported by a living community of people interested in the same things you are! Thank you for clarifying this term for me, thus article was so informative & on point.